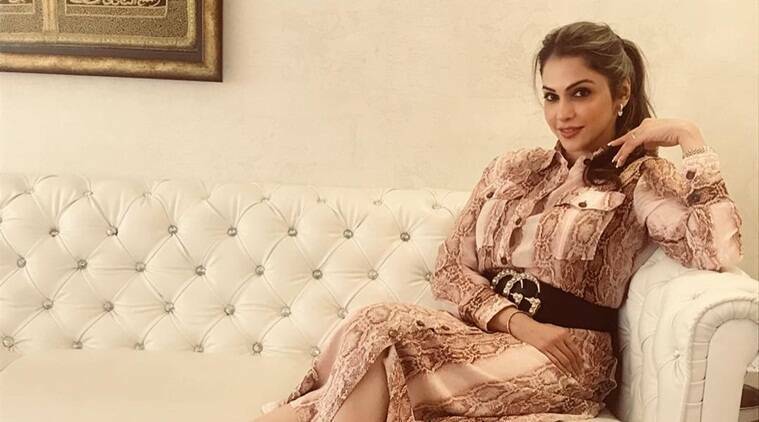 Isha Koppikar joins Sivakarthikeyan, Rakul Preet, Bhanupriya and Karunakaran in Ravikumar directorial tentatively titled SK14. SK14 is bankrolled by 24 AM Studios. We had told you Sivakarthikeyan and Rakul Preet were collaborating with Ravikumar of Indru Netru Naalai-fame for a science-fiction film, and now we hear Isha Koppikar plays an important role in the film, which is heavy on action sequences. With this untitled film, the Bollywood actress is making her comeback to Tamil cinema after 18 years. According to sources, she was offered a role in the Sivakarthikeyan-starrer after the makers saw her performance in her recent Telugu film Keshava and Kannada project Looty. In an interview with one of the dailies, Isha Koppikar had said her character in the upcoming sci-fi film will be along the lines of Hollywood’s Lara Croft. Isha was quoted saying she grew up admiring a lot of Bruce Lee films, and over a period of time, she became fond of action-oriented scripts. Further, Isha added AR Rahman was one of the reasons why she accepted the film. Isha Koppikar’s last Tamil outing was Vijayakanth’s Narasimha, which got released in 2001. Before moving to Bollywood, she did En Swasa Kaatre with Arvind Swami which made her a household name in Tamil Nadu. Tentatively titled SK14, this film, which is expected to hit screens in 2020, has Sivakarthikeyan in the role of a farmer. However, an official confirmation is awaited. Touted to be made on a mammoth budget, this Tamil-Telugu bilingual, based on an alien invasion, is produced by RD Raja of 24 AM Studios. Senior actor Bhanupriya and comedian Karunakaran are already a part of this film. 3 Badla to be remade in Tamil?